Don’t Panic - Royal Mail WILL tell us what the Jan 23rd issue is soon! ... to anybody I misled about when Royal Mail would break the news about 2018's stamp issues. They led us to believe that the news release this week would include all this year's issues including the Centenary of Women's Suffrage (Votes for Women) in February, and the really secret one that includes Post and Go on 23 January. Royal Mail’s 2018 Special Stamp programme will again showcase the “Best of British” in a range of subjects from the 50th anniversary of one of TV’s most popular comedies to the successful reintroduction of species that were once extinct on these shores. The RAF Centenary celebrates the oldest independent air force in the world – the Royal Air Force – with 10 stamps issued in March. The stamps will depict six iconic aircraft from the service over the past 100 years, and an additional four stamps will pay tribute to the brilliance of the RAF Red Arrows aerobatic team. Reintroduced Species in April celebrates the work of scientists and conservationists who have reintroduced once extinct species back into the country, from the Large Blue Butterfly to the Osprey. Six species are featured, each the subject of specially commissioned artwork. One of a handful of TV comedies that fully deserves its classic status, Dad’s Army celebrates its 50th birthday in 2018. In June, eight stamps will be issued depicting the leading and much loved characters from the series. September will see the culmination of a five year landmark series marking centenaries of the First World War. The set will feature a new interpretation of the poppy image, war poetry and art, and a commemoration of the sacrifice of the armed services. More news will be provided as soon as we can. No more comments on this this post, so that all the future comments of Game of Thrones will be on the new post. 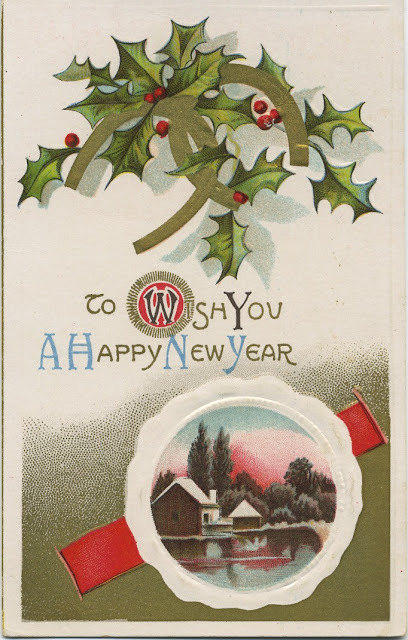 Looking at these Victorian/Edwardian Christmas and New Year greetings cards makes you realise that even if cards are now sent in envelopes instead of as postcards, today's card manufacturers - with their fluffy bears, dogs, cats, Minions, etc - are not so different to those of days gone by. 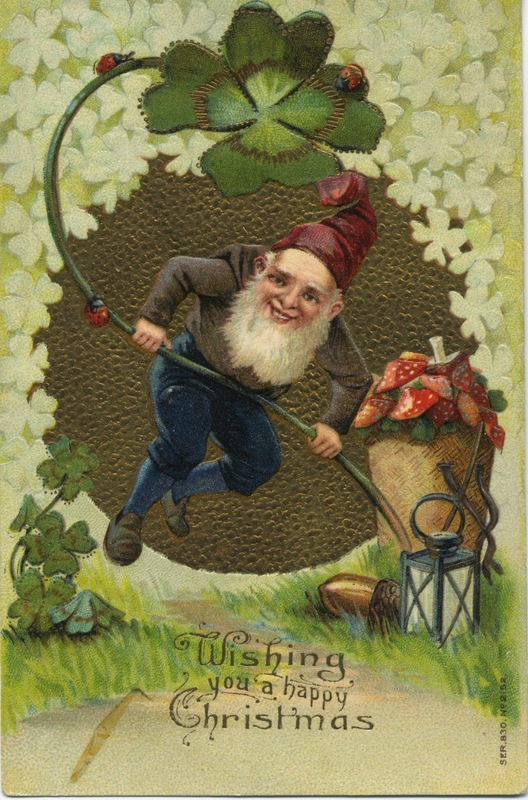 The Christmas card above has a gnome - ok, maybe an elf - surrounded by lucky four-leaf clovers, flowers, fungi and a ladybird and an acorn! No Santa, and not a hint of the religious element! And neither card has any snow, or any suggestion that this is winter! Just a thought. Anyway, the year-end is upon us almost before we realise it, and we can look back on another year of surprises and frustrations, innovations and disappointments, and look forward to changes of direction. 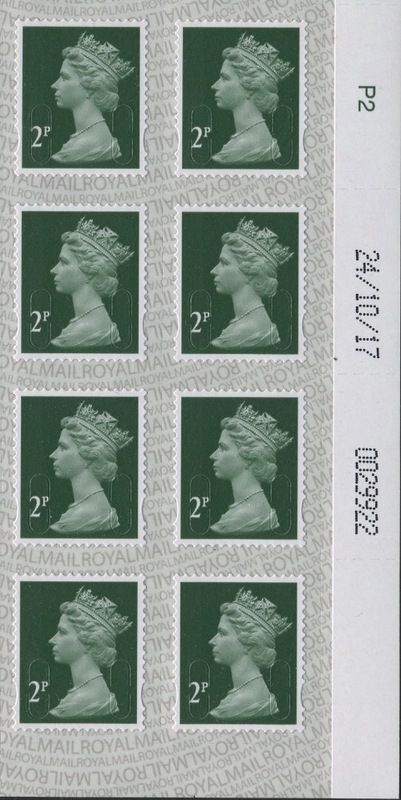 As usual, the first (Windsor Castle) prestige stamp book of the year contained stamps coded for the previous year, but the accompanying retail booklet had a 2017 code. 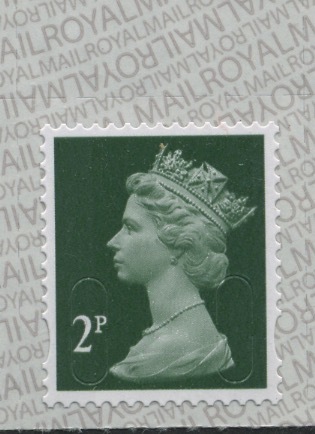 Royal Mail kept the £5 Accession stamp secret for far too long, and when they did give it maximum publicity in the mainstream media, collectors found that only a few Post Office branches were selling it. Apart from that the year progressed much as expected, with the counter sheet stamps at last appearing on backing paper with security printing - but not until the new tariff values had also been printed on plain paper. 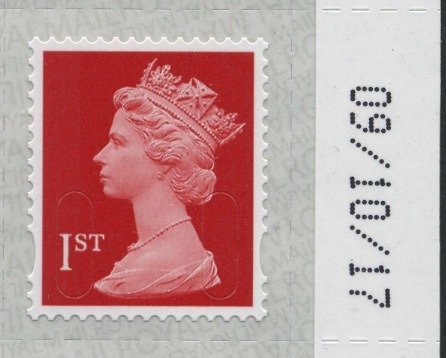 Although a big fuss had been made over rebranding and the new darker corporate red for the 1st class stamps in booklets and business sheets, Royal Mail overlooked the opportunity to make the similar counter sheet stamps a 'visible change' and so there was no first day of issue for those as there had been for the other sources. 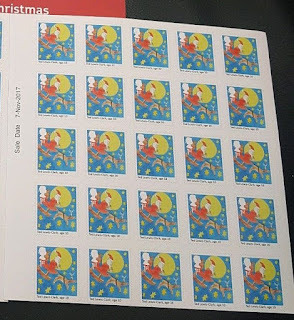 The 1st class red with M17L code appeared in April, but the same stamp with M16L code didn't appear until October, and supplies are very difficult to find. The Machin 50th Anniversary was commemorated with an unprecedented number of Machin stamps - a few or many depending on your degree of specialisation. Royal Mail had a problem with one PSB pane, and we will never know whether they sent the wrong artwork to the printer or to the publicity department. The year ended with another Star Wars PSB which has the 1st class stamp in the original colour instead of the darker one! This year's Country Definitives have the values for all countries in the same font, which makes some sense even if you still can't read them easily, especially those for Northern Ireland. The big surprise on Machins was the appearance of the unvalued trial printings by Courvoisier which, after much debate by the owner, were eventually placed on sale. As usual there was a packed programme of special stamps which we largely steered clear of. 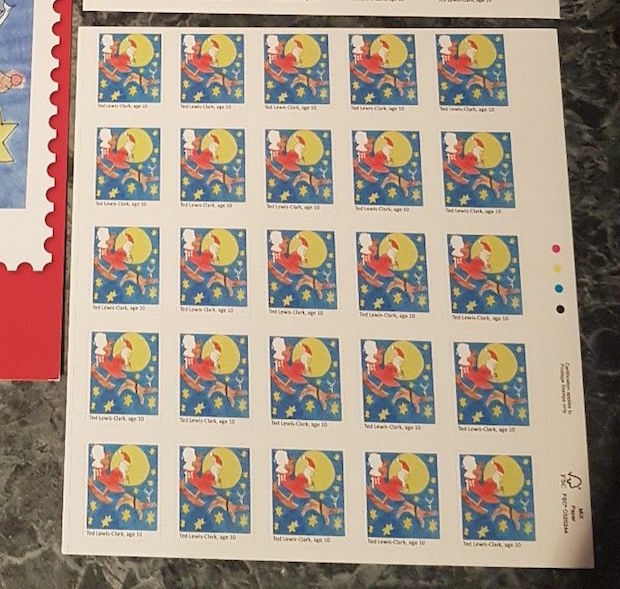 As usual, most collectors and the general public saw few of the special stamps on their letters and parcels, although we did report early use of one of one David Bowie and one Christmas stamp. 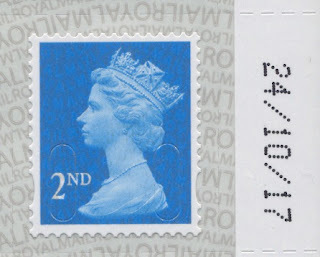 The 1st and 2nd class (and Large) Christmas stamps were issued in two designs which were printed in one sheet for each value, although a special single-design printing of the 1st class was produced for the stamps given to Royal Mail staff. A new initiative by Royal Mail's marketing department for 'local' handstamps for new issues (starting with Ancient Britain), announced only to the local press in each area, was roundly condemned by first day cover collectors. Special arrangements were made for the Mills issue in June, but FDCs were not returned to collectors until October, and the announced handstamps for the Landmark Buildings were quietly abandoned. For collectors with big bank balances it was another bumper year, although those who wanted examples of every possible design/inscription/stamp/date combination would have found it very expensive, and probably quite difficult to track down. The Isle of Man PO joined the club (albeit using Irish PO machines rather than Royal Mail Post and Go) at Spring Stampex. A limited access Post and Go machine was installed at the Ministry of Defence offices in Bristol, and a further one at Royal Mail HQ. The Mail by Rail digital version was the subject of an unannounced launch at the Postal Museum (only), and unprecedented errors concerning the Scottish Congress at Perth meant that two different inscriptions were used, while those sold not at the event but by Tallents House included a pre-release of the Machin Anniversary stamps. The last new location for a machine (other than at a Post Office or Royal Mail facility) was at the East Anglian Railway Museum which had machine A005 transferred from the Royal Marines Museum where it was sited for just over two years. In the autumn a 2017 printing of the Poppy made a widespread appearance, followed by a reprint of the Winter Greenery 1st and 2nd class stamps with a 17 year code. 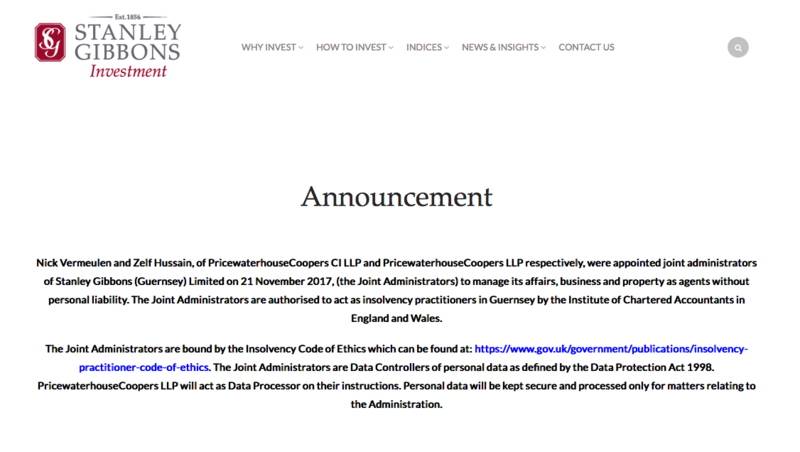 Following the retirement of Royal Mail's Martyn Fry, official Post and Go information has been intermittent and often wrong, so much so that Royal Mail's official Post and Go webpage has now been abandoned. On the positive side the Postmark Bulletin is not only free it is now online, with special handstamps being added to another webpage between editions. However this doesn't give us any more information than before about slogan postmarks of which there have been a wide and interesting variety, especially for thematic collectors, that were usually 'discovered' rather than announced. The Philatelic Bulletin likewise has continued to provide late, misleading or even incorrect information whilst providing a lot of information about the background to stamp issues which is not the prime interest of collectors. 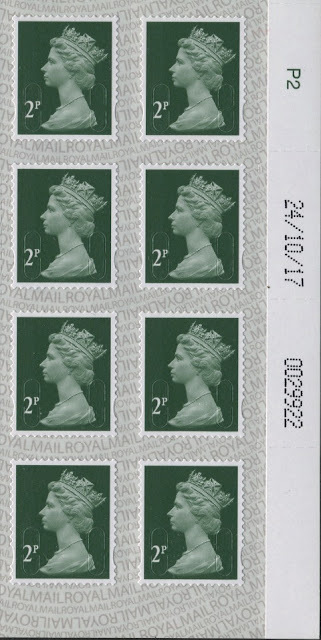 We have urged Royal Mail to concentrate on getting right the technical information that they provide to collectors and to the trade: after all, we can get it to you from the actual stamps (when we are allowed to). As for the year to come, the big news about the first issue will be announced before January, and we will report it here with images when we can. The rest of the 2018 programme contains some quite good topics, even if some of the designs we have seen so far leave something to be desired. We know that there will be no more Business Customised wallpaper after the spring, though doubtless some customers will ramp up the orders for events taking place later in the year and in subsequent years. We expect major changes to Post and Go next year which will reduce the number of variants digging into collectors' pockets. For a start, there will be no Post and Go machines at Spring Stampex or the Scottish Congress in Perth, and in the absence of a miniature sheet associated with the Votes for Women (Stampex) issue, there will be no numbered limited edition collectable at Stampex either. I'm hoping for more policy changes, one of which may reduce the amount of mail cancelled by biro or bingo-marker, enabling more collectors to actually find stamps which are at least used, and maybe even fine used. We close the year - having added two pieces of new information to the blog while this summary was in its draft stages - by bringing out the picture we prepared a couple of years ago. We've already had reasonable frost and some snow this year, and other parts of the country have had a lot more than we had, some of which prevented us going on a weekend excursion to the Welsh borders a couple of weeks ago. We'll be back in the office on January 3rd. So once again thank you to all our readers and contributors without whom the blog would be smaller and far less useful to collectors around the world. We hope you all have a very Merry Christmas, and a Happy New Year. PS: I forgot to write a thank you to all of you who have sent Christmas cards. These decorate our lounge wall along with the diminishing number from friends and family. Quite a preponderance of postboxes this year! Many thanks. Whatever you do and wherever you go it always pays to keep your eyes open for new material! Needing two new tyres today I booked into my local independent garage knowing that I would get good service and a friendly crew, without anybody telling me I also needed a new exhaust and should have the brakes checked. While chatting to the office lady, I spied some mail on the desk and thought one item looked 'different' - and it was. 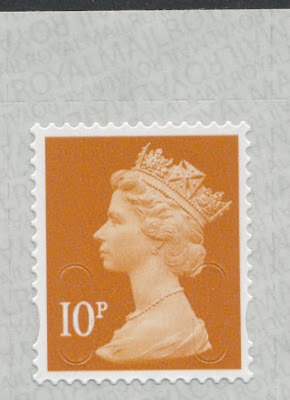 For 18 months now Royal Mail have allowed direct mailing houses to use printed impressions of stamps on their mailings. Most prolific is the 2nd class Machin, but the 2nd Large and 2nd class Alice in Wonderland have also been used. Now this year's Christmas stamp joins the club. This is one that householders are unlikely to see as it is aimed at the motor trade but it could be used by the mailing house for other clients, or by other companies. 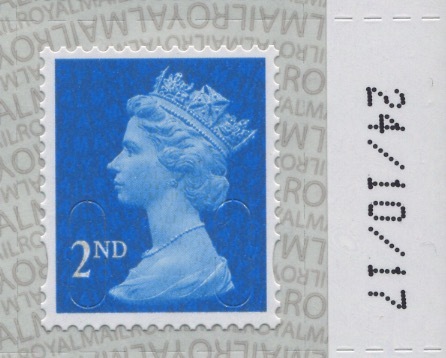 Apart from all being predominantly blue colour, one thing that all the stamps have in common is that the copyright in the image is owned by Royal Mail. Thus the company is able to use them in any way that they wish to. Look out for this on Christmas charity mailings. I don't know when RM made it available, but this was used within the last week. Stamp all you like, there won't be one for us leaving the EU! furore among some politicians and UK newspapers (also reported in Germany by Deutsche Welle) about the lack of a stamp issue from Royal Mail, to mark the historic moment when the UK leaves the EU. I don't comment on political matters, but find the whole thought process behind this campaign to be misguided. Back in 1973 the General Post Office, still under government influence, did issue stamps when the UK joined the European Communities. 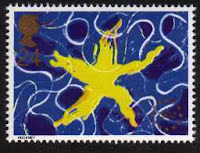 In 1979 four stamps were issued, again by the General Post Office, to mark the first direct electons to the European Assembly. They served as a further reminder, were any necessary, to encourage citizens to vote in these important elections. Finally* in 1992 a single stamp was issued by Royal Mail to mark the creation of the Single European Market for goods, services, and labour. Things have changed since then. Royal Mail is privatised, something seemingly lost on the spokespeople interviewed by BBC television. A member of the London Assembly was 'outraged' that this important historic event was not being marked, while the spokeswoman for 'Best for Britain', a 9-month old political organisation, disagreed and said that taxpayers money should not be spent on this! This shows how out of touch they both are with reality. One politician who thinks that he or the government can have any influence over (the private company) Royal Mail's stamp issuing policy, and a another who somehow thinks that taxpayers (ie the British Government) money would be spent on a new stamp! Well the news is that the taxpayers who post letters (and all who collect stamps) would spend money on these not the British Government. And although Royal Mail can produce stamps quickly when they want to, they haven't issued any stamps for overtly political current events since that one in 1992. 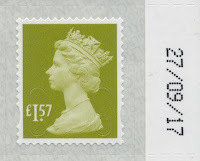 Stamps which have had a political connection have all been marking people and historical events associated with them - Prime Ministers (2014), and Women of Distinction (2008) and a few individuals in similar issues. Rest assured, this isn't going to feature in the 2019 stamp issue programme - although that won't stop somebody producing expensive special covers to mark the event! * I've missed at least one - a gold star to anybody who can identify it! 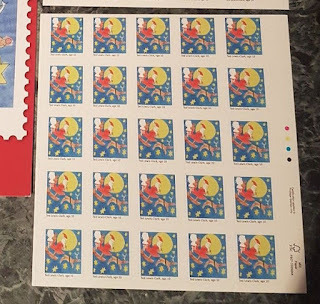 Royal Mail 'Employee Gift' stamps from a totally different printing! 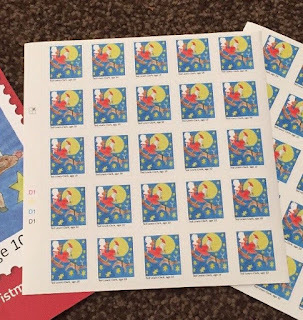 Every year, Royal Mail employees receive a Christmas Card from the management, and a gift of 50 x 1st class Christmas stamps. I had expected that they would get the equivalent of a whole sheet, ie 25 religious and 25 competition as shown in our earlier post, but the reality is a big surprise! 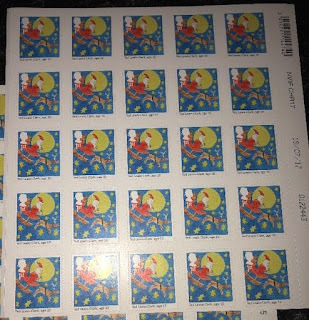 In fact, according to sales lists on eBay, the card shows the design of the 1st class competition winner stamps, and contains 50 of those stamps. All of the sheets have either the left or right margin cut back so that the sheet fits in the card, but far from showing just the cylinder number and traffic lights as expected, some sheets also have a sale-by date and printing date and sheet number! 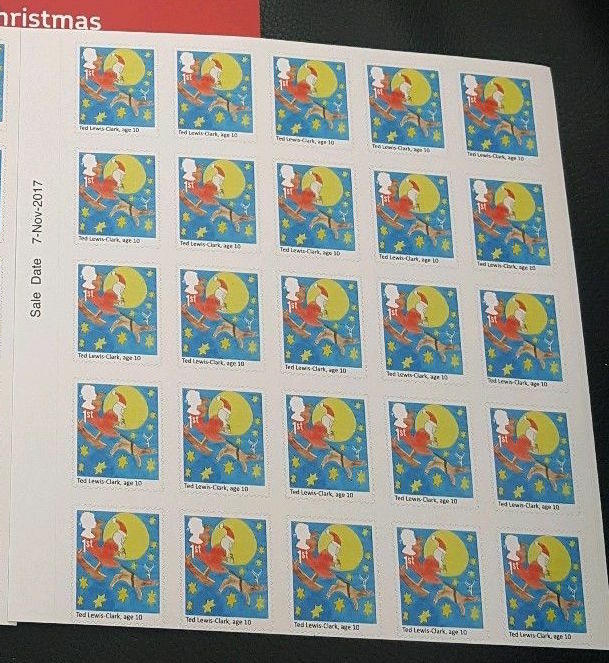 This means that they have been cut from sheets containing 50 x competition stamps, that is, a different printing to the ones sold to collectors and Post Office customers. As you can see, the printing date and sheet number is in the top right selvedge. 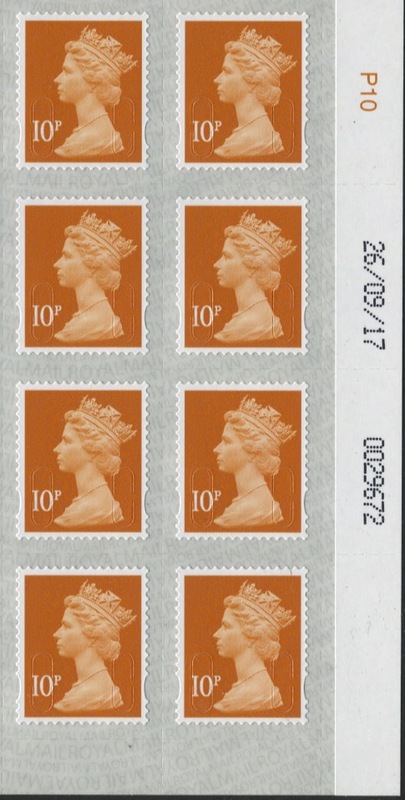 The Sale Date is in the top left margin of these sheets, both being alongside the religious stamps. We don't expect much in the way of variety from slogans at this time of year apart from the exhortations to 'Post Early', followed nearer the date by the last day for 1st class, and maybe a 'special delivery - next day' option. But as mail centres get busy and older machinery is pressed into use, I do expect to see more of the older Universal machines in use. I've already been told that Chelmsford MC is offloading work to Greenford/Windsor! 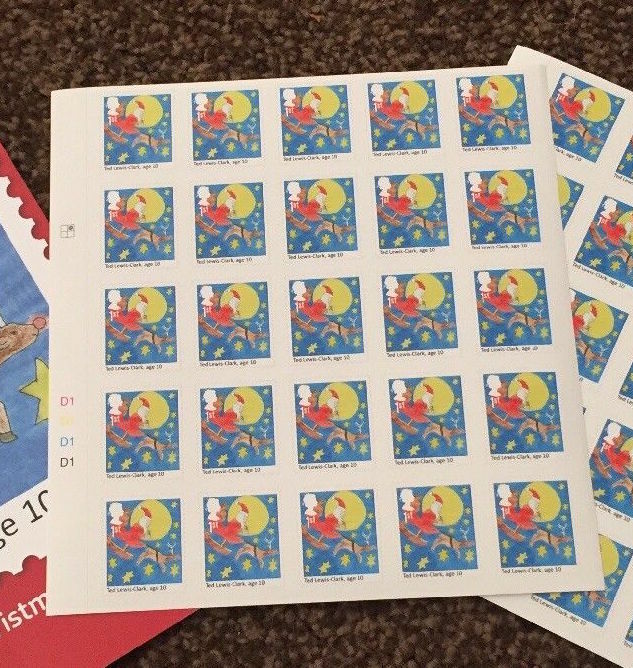 Lerwick uses a Universal machine for most of the year, but Inverness and Ipswich will be almost certain to appear this month, so let's keep our eyes open on the Christmas mail - after all it's that time of year when you get more stamped mail than any other! Anyway, here is the first Post Early inkjet slogan for 2017, from Exeter MC. Update: This one doesn't seem to have been very widespread, but examples have been seen from Norwich MC dates 4, 5 and 7 December. Here are some variations to the above, with the other format from South East Anglia, and the transposed version from SE Wales, both on 4 Decmber. A good addition to a Nobel thematic collection. Update later the same day: Thanks to JR for this other format from Preston, albeit they seem to have an inking problem! This is the other format, and is dated 8 December; the wording is in the same format as above, but without the dash at the end of line 2. UPDATE 15 December: Glitch at Belfast! Thanks to GF for this anomaly from Northern Ireland Mail Centre in Belfast, which - after Post Early and Kazu Ishiguro - slipped back a month and used Lest We Forget on 13th December. And so we are into the final week before Christmas, and the Last Posting Dates slogans are now in use. Here's one used on Friday 15th at Norwich MC. We had another but couldn't read the MC ID. More interesting, though is this from Chester & N Wales as early as 02.12.17 which has the wrong dates on - they are not even last year's - showing 22nd and 21st December for 1st & 2nd respectively. My thanks to RS for providing the first (and only so far) example of a Universal machine being pressed into use this year. Used at Carlisle this shows Cumbria / Dumfries & Galloway on 12 December 2017, with the month being expressed as Roman numerals as is often the case. Nothing yet from Ipswich, which is unusual. Thanks to RS who has provided more examples of the Universal machine usage. Peterborough SCM3 with wavy lines missing the centre unit, and no date, except for what might be a filed-down year made to look like 2017. I'm assuming that this is a December use. South East Anglia (no unit number) with the pictorial 'Merry Christmas Please Post Early' slogan used 7 Dec 2017. 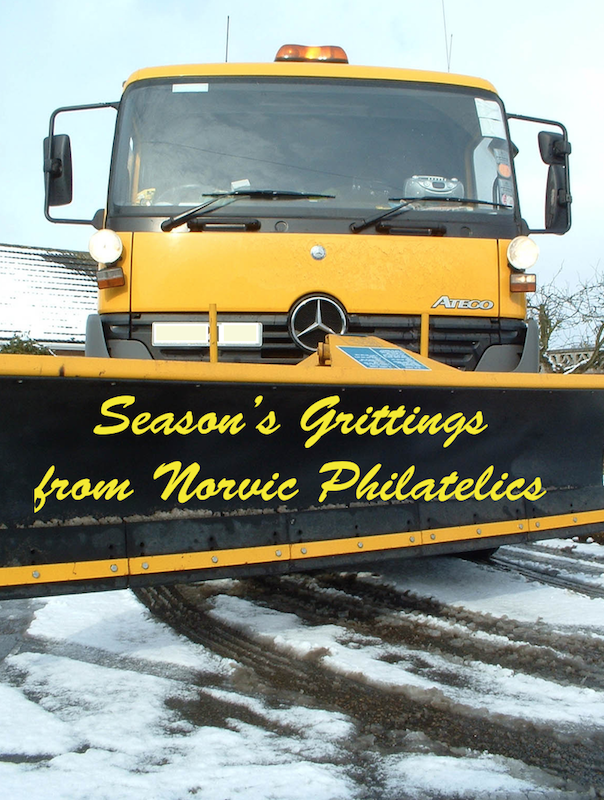 And finally for now (and I'll use this to start off the January postmark blogpost), Lancashire & South Lakes unit 1 Remember to use the Post Code slogan on 2 Jan 2018 with a time! Three more Universals were in a batch of covers given to me at last night's club meeting. North & West Yorkshire machine 3 had a different slogan to that shown above, the Happy Christmas snowman one also in use at SE Anglia. Inkjets have been seen from some unusual sources including Croydon MC (mail usually goes to Gatwick, I think), Sheffield and Birmingham are postmarks not seen as often as the more generic ones, at least here. First there were Smilers, then there were Business Cusomised Sheets (BCS) aimed at company advertising. Sadly that isn't how it stayed, and now BCS are coming to an end. 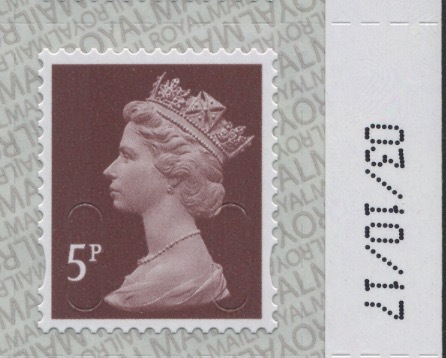 As predicted in this column (Q1-2017) Royal Mail have decided to end the Business Customised Stamp sheet service and have today released the following announcement in their Key News bulletin aimed at the Philatelic Market. "Another recent review has looked at the use and popularity of the BCS service and having considered the number of BCS orders received over the past two years Royal Mail has taken the decision to end the BCS service in 2018. Last orders for Business Customised Sheets will be accepted on 31st March 2018 for delivery in May 2018. Following which the BCS service will cease, The Smilers service, used for smaller volumes, will remain." In January of this year we reviewed the product, and proposed changes which, in our view, would have generated more interest and help make the product more commercially viable. Maybe, maybe not, but Royal Mail ignored the suggestions and in my view that can only be good for the hobby, and the trade. The stamp dealers, in conjunction with Royal Mail, were producing - in effect - glossy colourful posters, which happened to have 10 x 1st class stamps in them. Purely money-making, not even philatelic. Then Royal Mail took to selling some of these private productions through their Philatelic Bureau adding some sort of legitimacy to them, with the inevitable next step being that Royal Mail produced similar sheets under their own name at a much lower selling price but still over 3x face. What was potentially a good idea for business advertising is probably the worst thing that has happened to British stamps in recent years. When these expensive sheets - some of them initially sold for upwards of £50 each and most over £30 - are offered to dealers either as part of an estate or if the collector is seeking to diminish his holdings while still alive, they are with few exceptions treated as just so much postage. Bearing in mind any of you can buy postage now at 80% of face (or even better for the right quantity) you must realise that dealers are paying between 35% and 60% of current face, not the original price. So the most you can get for a sheet that cost you £30-£50 is £3.90. The same applies to Royal Mail Commemorative Sheets some of which are still available on their website: others were sold at a discount before being withdrawn. 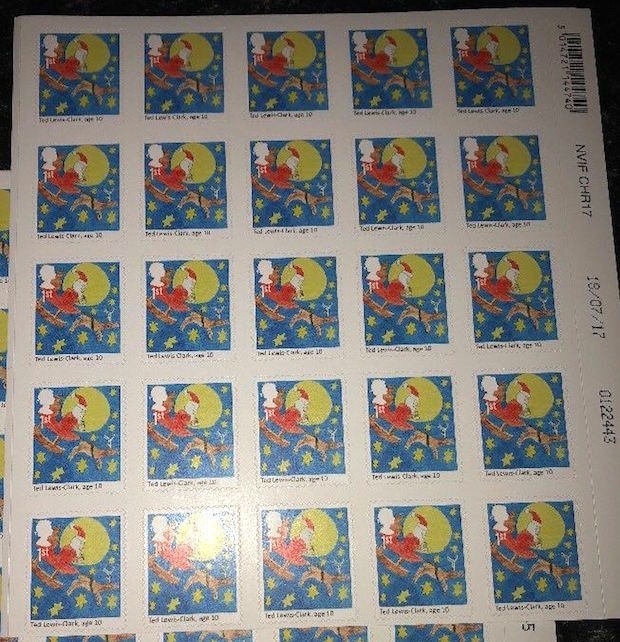 Graham and I will disagree on this, but I still maintain that they were a bad thing to be marketed at stamp collectors. I have bought some BCS at fairs for face value - Manchester United, Norwich City, etc. They make good stocking-filler Christmas presents for relatives who are fans. (No I don't actually roll them up!). And if you are buying postage they will certainly be different. Look out for them in the 'at face' or 'discount postage' boxes on your next fair visit.